The 2018 iPhone series disappointingly come with a standard 5W USB power adapter, meaning the customers who’ve already paid an exorbitant price for these devices will need to spend more spend on fast-charging accessories. Now, if a new report is to go by, that could change this year. Along with increasing the power output, it appears that Apple would also be introducing a new wireless charging technology with this year’s iPhone series. Corroborating last year’s rumors, the new report from Japanese website Mac Otakara alleges that Apple could bundle in an 18W charger with 2019’s iPhones. Previously, a report had also suggested that Apple might stick with the 5W USB power brick, which we feel should not exist at this point as Apple’s competitors have become more generous in this regard. The Lightning connector is expected to be retained, with Apple reportedly shipping a 18W fast charger and USB-C to Lightning cable this year. More specifically, the new C94 Lightning connector specification will enable 18W fast charging through USB Power Delivery or USB PD. 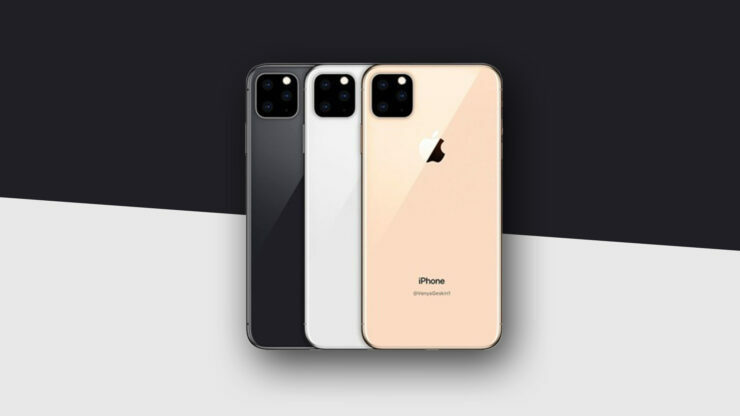 Apart from that, reports coming from the Cupertino giant’s Asian supply chain suggest that the 2019 iPhones will also be compatible with Integrated Device Technology’s Wireless PowerShare technology. This would allow the upcoming iPhones to wirelessly top up other Apple products such as Apple Watch and AirPods. To recap, the recently released second-generation AirPods come with a wireless charging case and the Apple Watch already supports proprietary wireless charging protocols. The latest report is in line with the speculations of the Apple analyst Ming-Chi Kuo, who said back in February that this year’s iPhones will come with ‘bilateral’ wireless charging technology. If this is indeed true, the 2019 iPhone lineup would join the Samsung Galaxy S10 series and the Huawei Mate 20 series that already offer reverse wireless charging. Apple normally waits before adopting newer technologies as it aims to improve those features or waits till the industry matures. Hopefully, the technology that Apple incorporates trumps what Samsung’s and Huawei’s flagship smartphones series have to offer.